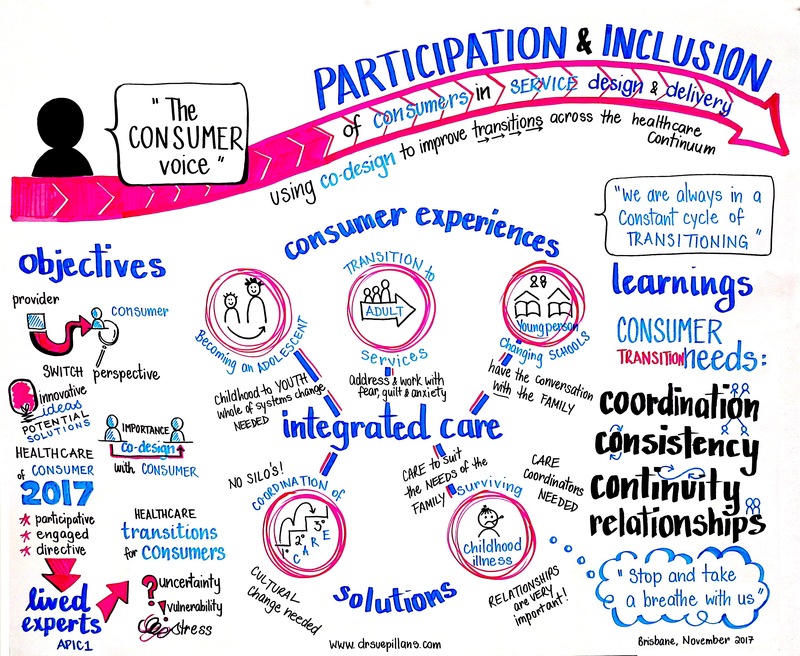 It was inspiring to attend and graphically record the presentations and workshops of the very first Asia-Pacific Conference on Integrated Care (APIC1), focusing on “Inspiring new ideas and stronger partnerships for improving population health”. 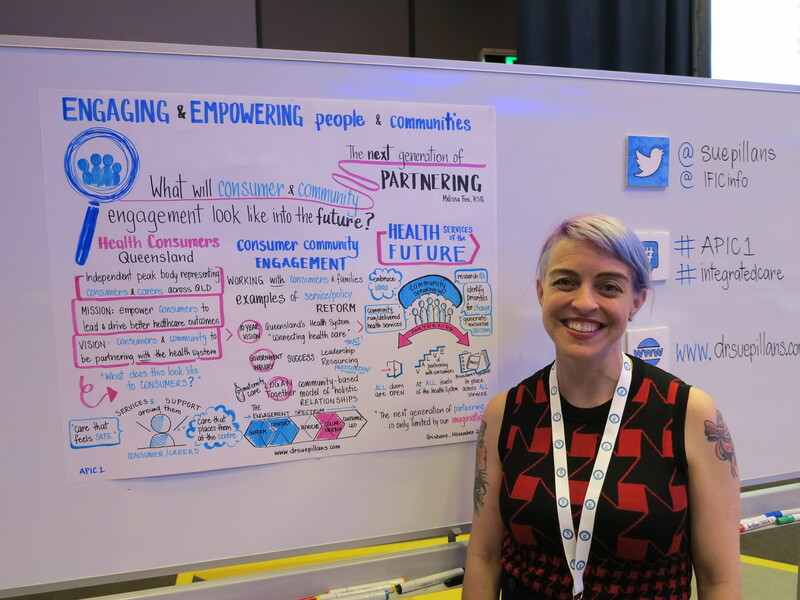 Topics I pictured ranged from Plenary presentations on engaging and empowering people and communities and child and youth health to workshops on service delivery and co-design and outcomes-based commissioning case studies. 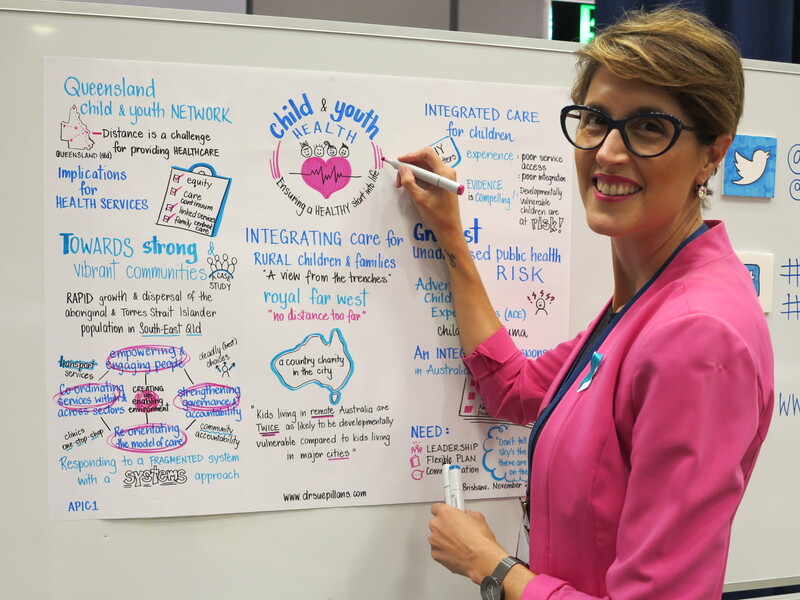 It is always a great feeling to be able to listen and draw out such important health ideas and put people and community in the picture. You can see more of how I picture ideas, issues and information with International Organisations. 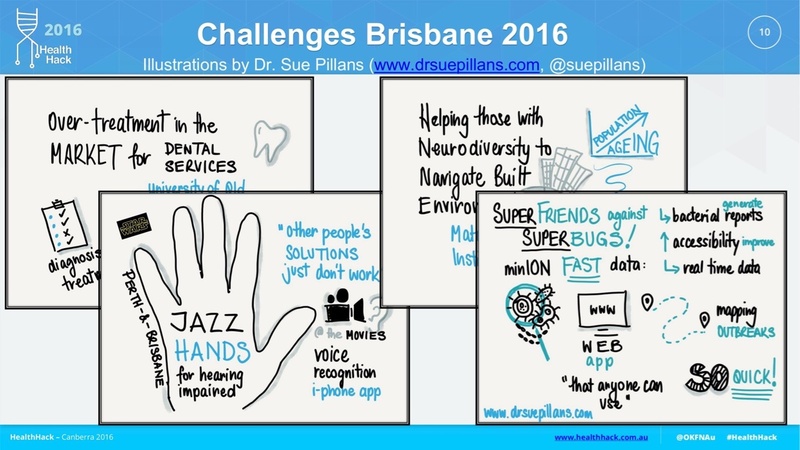 I was privileged to be the Sketchnoter for the 2016 HealthHack in Brisbane. 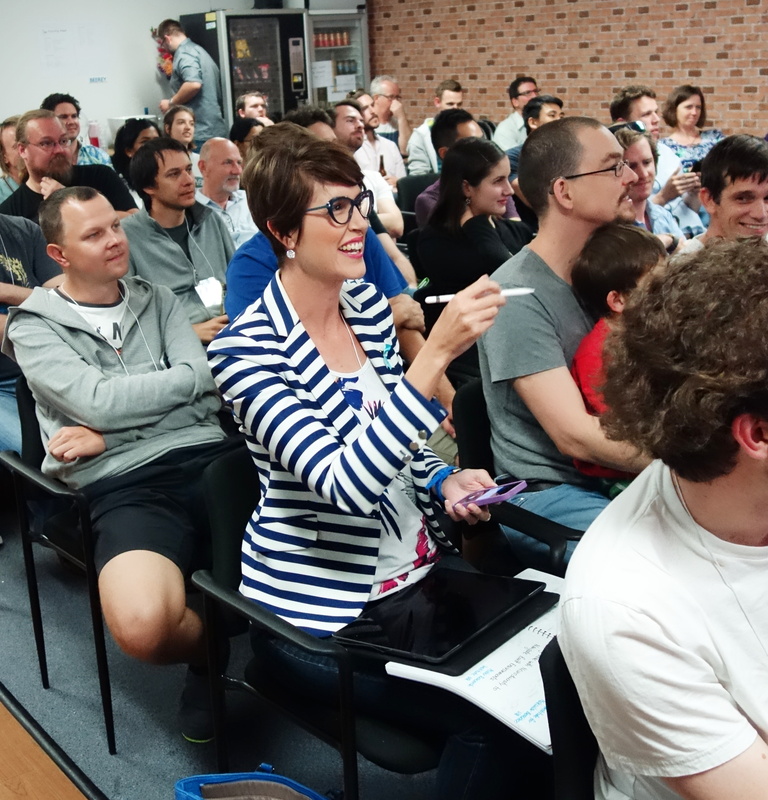 My first ever Hackathon and what a dynamic and innovative group of hackers! 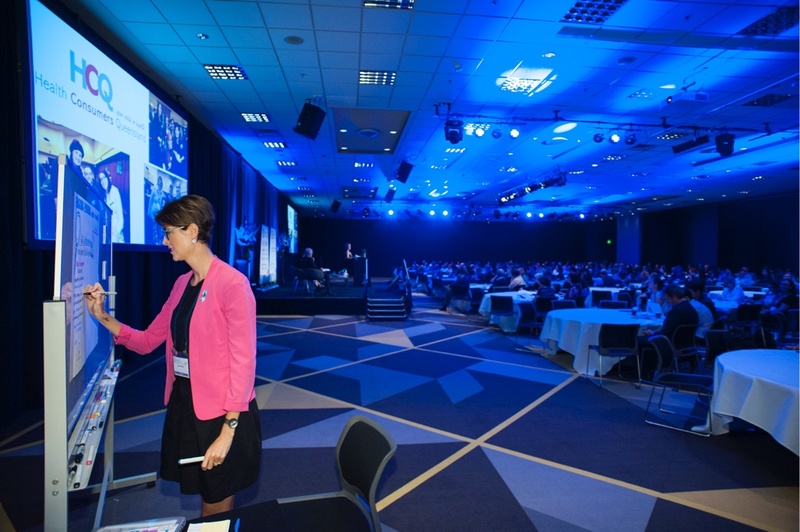 HealthHack brings together motivated people from diverse professional and educational backgrounds together to solve important problems in healthcare and medical research. 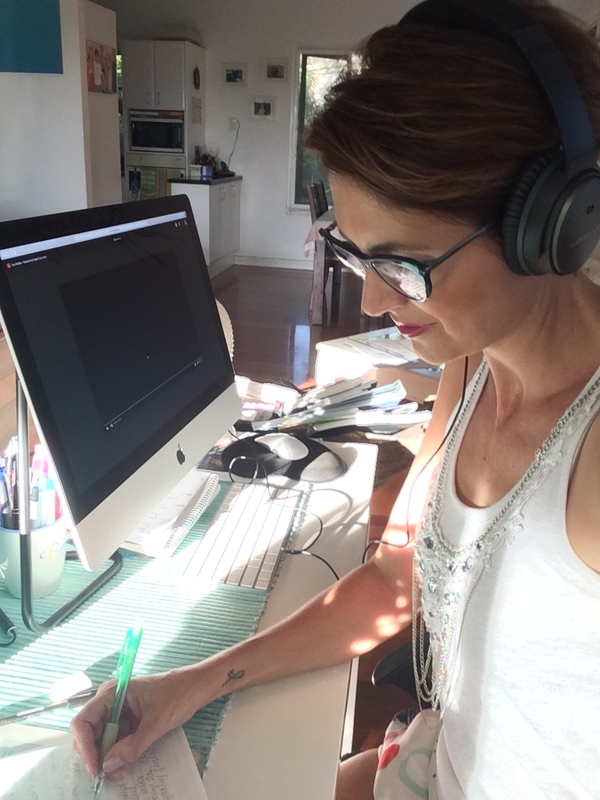 I just love being involved in collaborations that bring different people and their skills and experiences together. 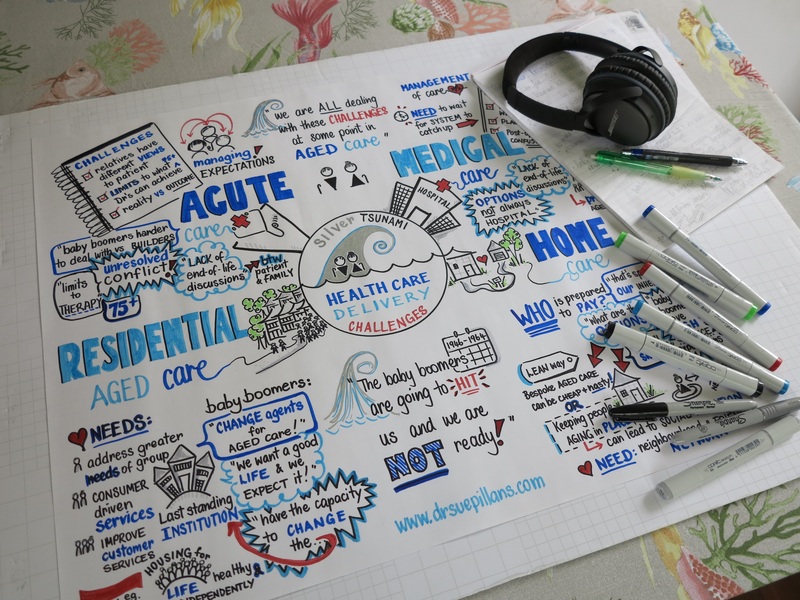 I drew the very quick (3-5 minutes) sketchnotes ‘live’ for the pitches, which ranged from fighting superbugs, tracking antibiotic resistant bacteria to helping the deaf enjoy a cinema experience. 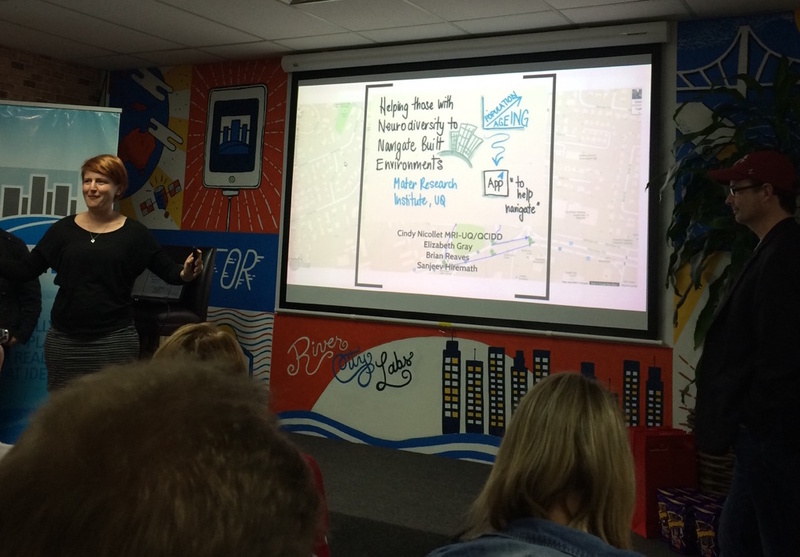 You can see how I pictured the HealthHack ideas and solutions through the HealthHack Story. 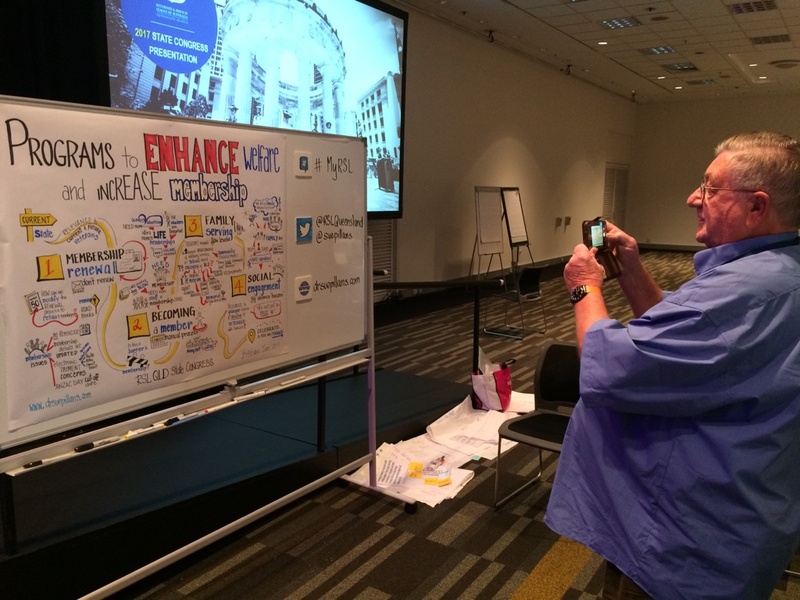 Excited when my sketchnotes end up in Health Conference presentations, thanks for the shout out! 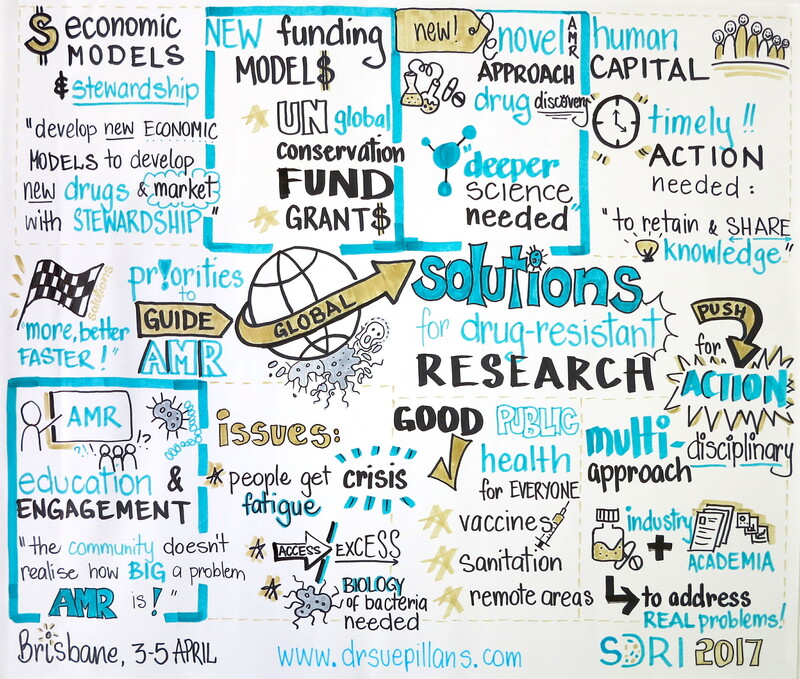 I was the graphic recorder for the Inaugural “Solutions for Drug-Resistant Infections” Conference held in Brisbane. 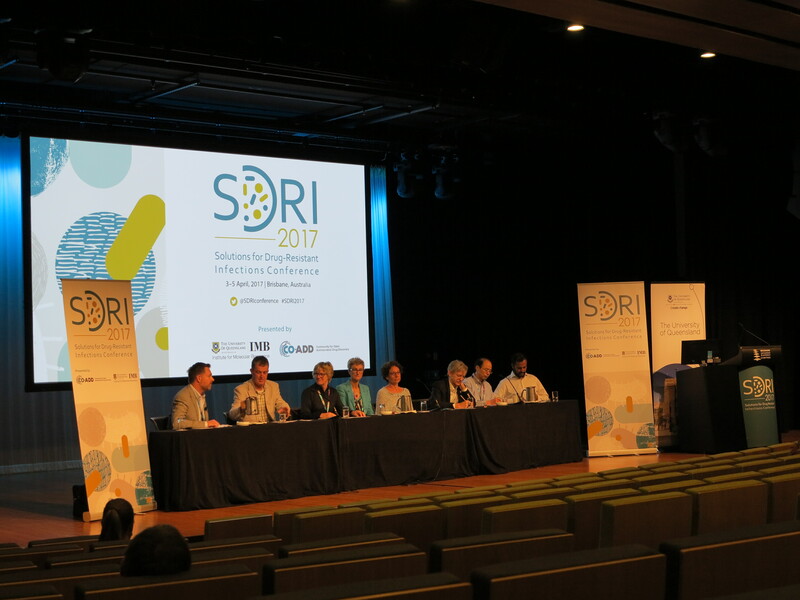 I was there to draw out the Panel discussions and priorities to guide research efforts towards global solutions for drug-resistance research. 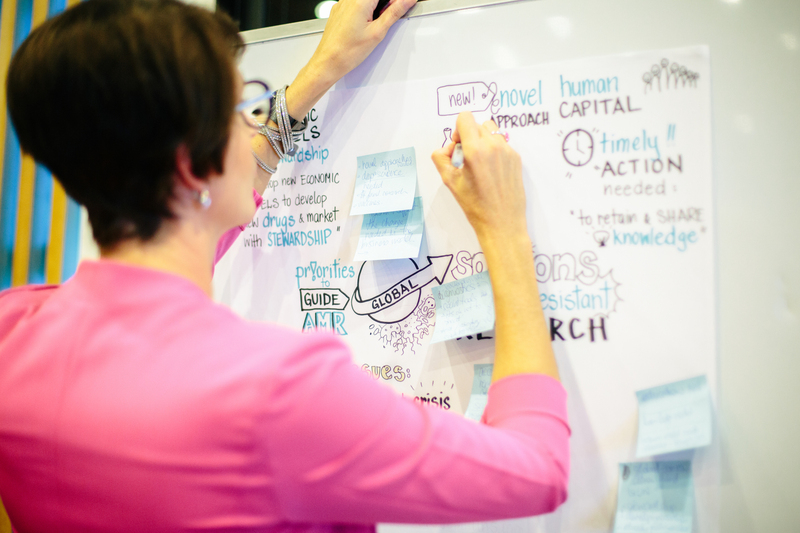 Conference attendees voted on the top three research priorities which you can see pictured in the visual below. 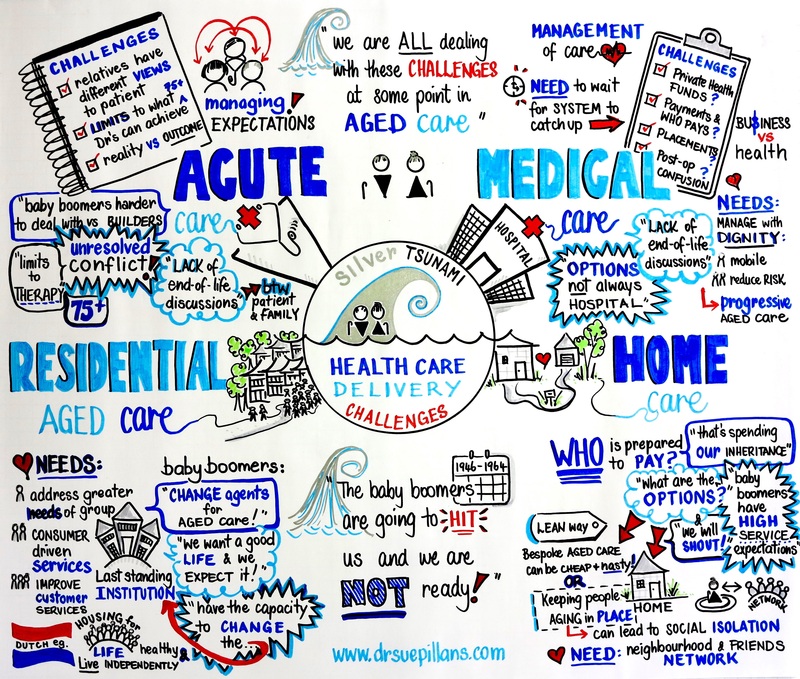 Although each of the health care service delivery providers held different views there were some very clear and consistent themes that I drew out regarding the impending Silver Tsunami. 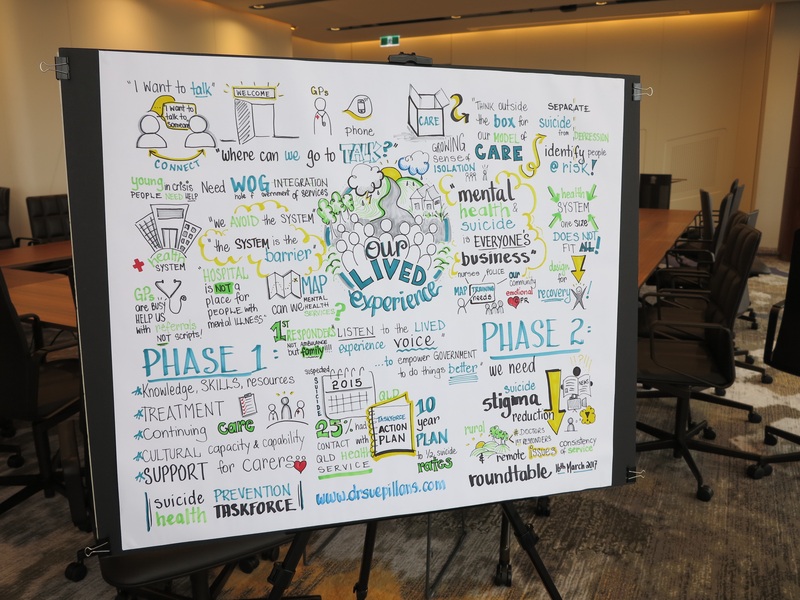 I pictured the discussions of the Queensland Suicide Prevention Health Taskforce hosted by the Health Minister at their Roundtable in Brisbane. 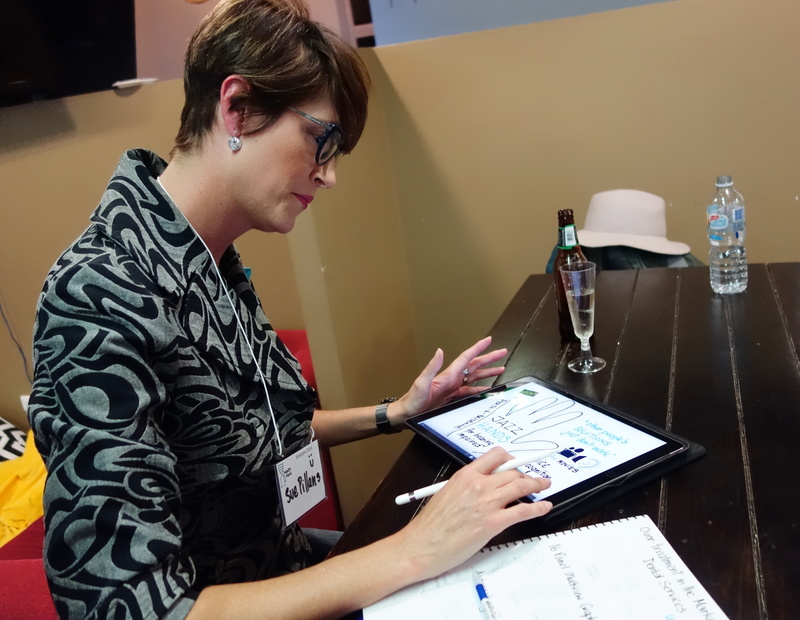 I was there to listen to the Lived Experience voices and draw out their stories of courage and strength. A key message I heard was that “Mental Health and Suicide is everyone’s business“. 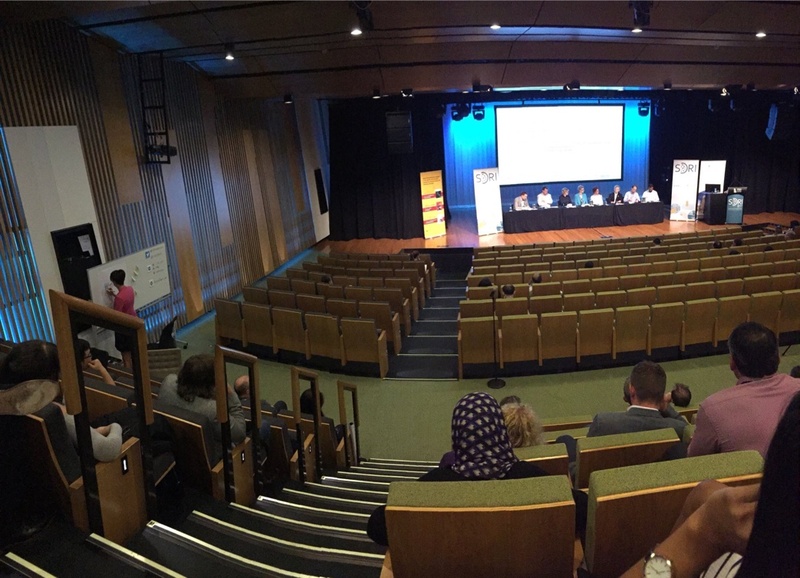 I was proud to draw out the discussions of the Returned and Services League (RSL) Queensland Branch’s State Congress held in Brisbane. 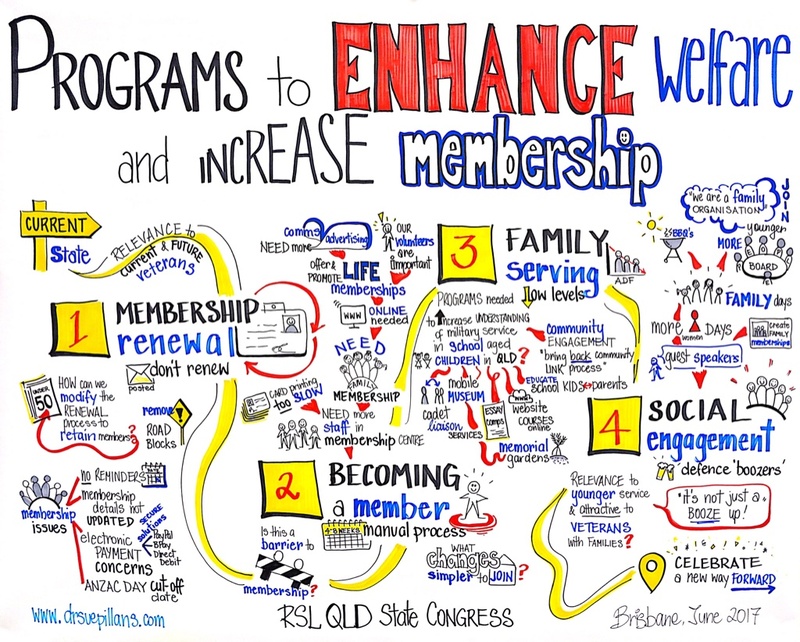 I graphically recorded the Breakout Workshops which focused on “Programs to enhance welfare and increase membership“. 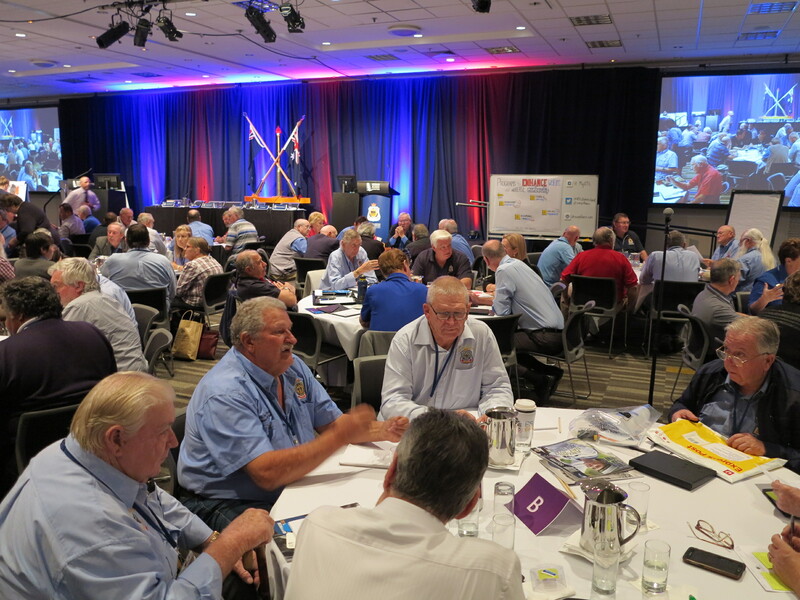 As you can see from the visual story and photos the RSL Branch members in Queensland are wanting to remain relevant for current and future veterans and work towards celebrating the next 100 years of the RSL. 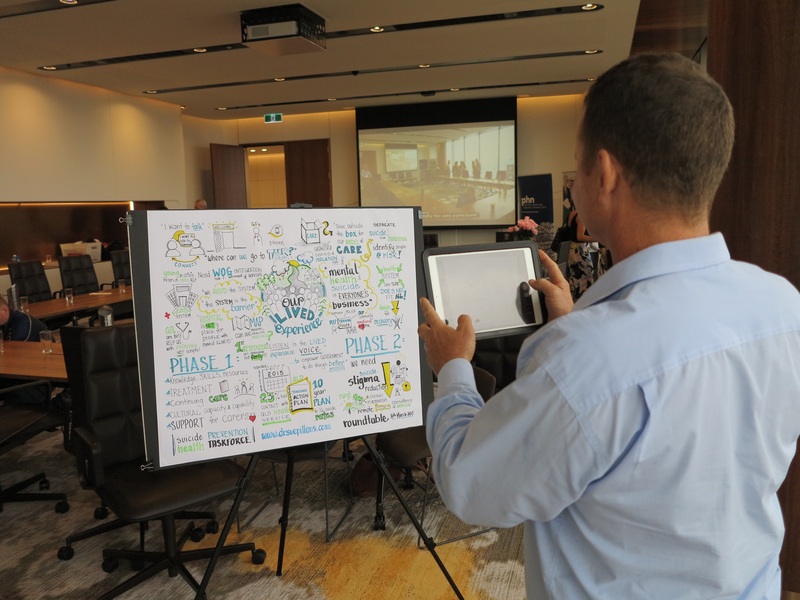 I was so happy to see that the RSL members were so engaged with the drawing process and their story unfolding before them! for further details on how I can picture your health or community issues.